Tobacco is prepared by curing the dried leaves of the nightshade plant. It comprises a colorless volatile alkaloid, known as nicotine, which is responsible for triggering complex biochemical and neurotransmitter disruptions in the brain. It raises heart rate, increases blood pressure, stimulates brain functions, constricts peripheral blood vessels and reduces the ability to smell as well as taste. It is generally used in the form of cigars, pipes, shisha and cigarettes. Apart from this, it is also consumed by chewing and snuffing ground tobacco. 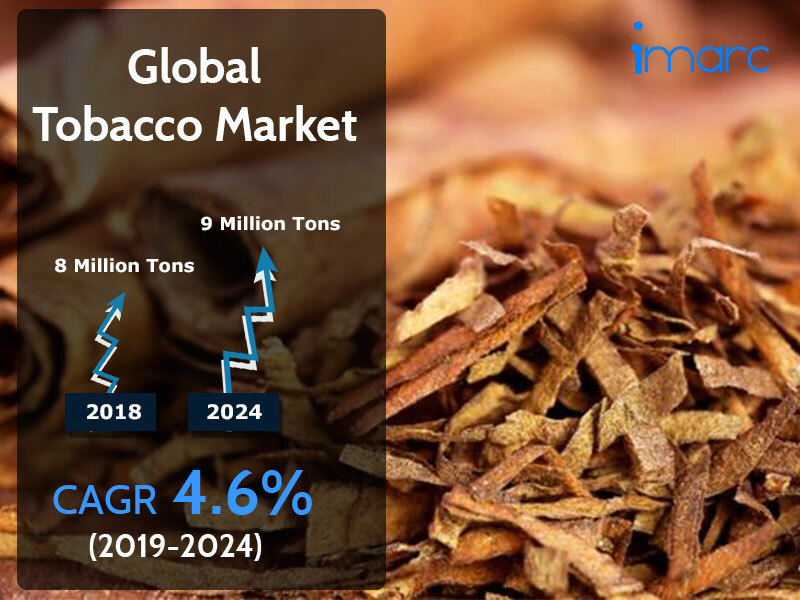 As per IMARC Group’s global tobacco market report, the industry reached a volume of 8.2 Million Tons in 2018, registering a CAGR of around 1.5% during 2011-2018. On account of the rising population, inflating income levels of consumers and relaxed government regulations, the demand for tobacco products is experiencing a shift towards developing regions like Asia Pacific. Further, well-established distribution channels have helped in increasing the sales of tobacco products in these regions. Additionally, the availability of numerous types of tobacco products in the market offers consumers a wide variety to choose from. Besides this, manufacturers are launching products that are marketed exclusively for women like light, long and skinny cigarettes. They are also investing in research and development activities to expand their consumer base and introduce products with reduced levels of toxicants. On account of these factors, the global tobacco market size is expected to reach a volume of 9.1 Million Tons by 2024, exhibiting a CAGR of around 1.4% during 2019-2024. Based on product types, the market has been classified into cigarettes, roll your own, cigars, cigarillos, smokeless tobacco and others. Amongst these, cigarettes account for the majority of the global tobacco market share due to the surging population. However, stricter government regulations on the consumption of other tobacco products can hamper the sales of cigarettes. On the geographical front, China enjoys the leading position in the market, holding the majority of the total market share. This can be accredited to population growth, rising sales of tobacco products and increasing tobacco production in the country. Other major markets include India, Brazil, the United States and the EU 15. The market is highly concentrated in nature due to the control of the key players in the industry. These players are China National Tobacco Corporation, Phillip Morris International, British America Tobacco, Japan Tobacco International and Imperial Tobacco Group. While the large market size and moderate capital investment are attracting new investors to enter the market, factors such as established distribution networks and strong brand image negate the threat from new entrants. About IMARC Group: IMARC Group is a leading market research and consulting company that offers management strategy and market research worldwide. The company has done multiple projects on the tobacco industry, which has enabled the clients to successfully set up and expand their businesses.